Here it is! My LAST Post of 2015 and it is a good one! 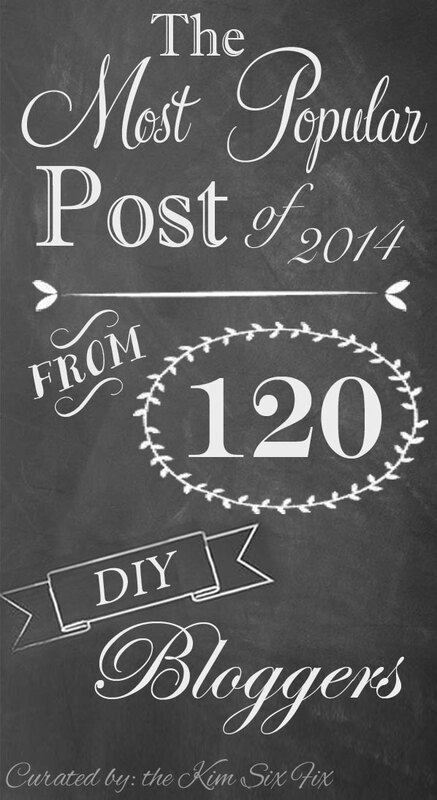 I've rounded up, sorted and listed more than 200 number one blog posts from 200 DIY and design bloggers. 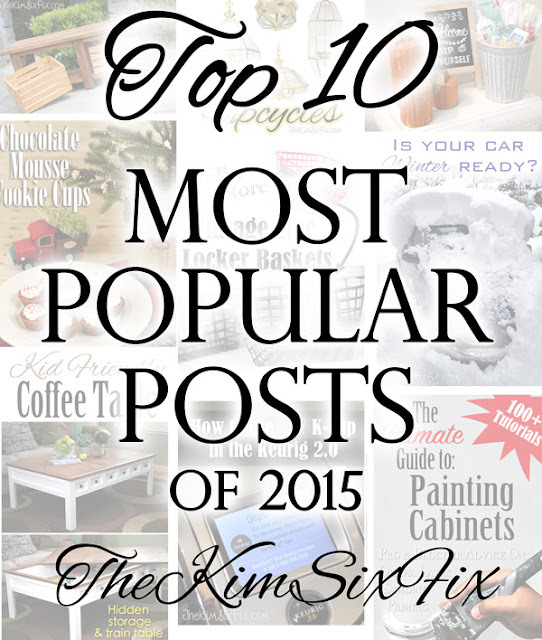 These are the MOST POPULAR posts from all of these fantastic bloggers. 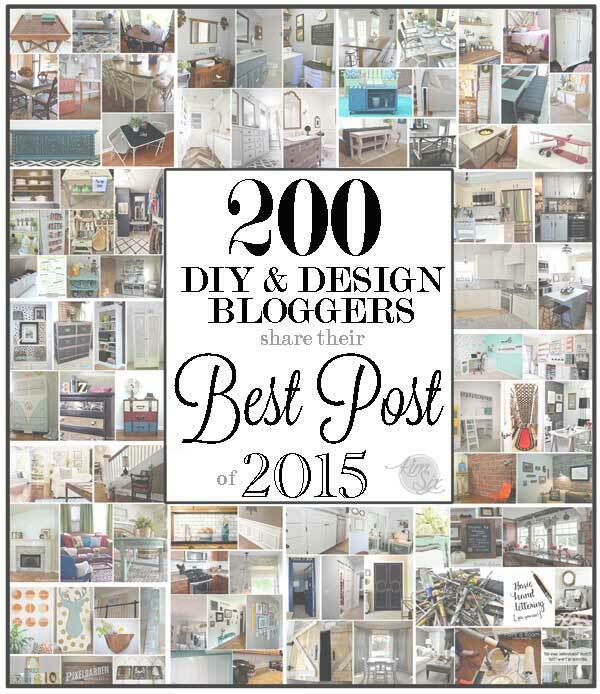 I actually did this last year as well, but this year year I have TWICE AS MANY bloggers on the list! To make it easier to find stuff, I have broken down the posts into some general categories. This was really hard, since I know a lot of these projects could fall in multiple categories, but for the ease of making the graphics I tried to split it up pretty evenly. Ironically, when I went to publish this post, I forgot to include my own blog! DURP! (Confession: I was so tired by the time I got to the end of this post, there was no way I was changing the graphic to add my top post.) So, if you don't think 200 posts is enough, you can check out my personal top 10 as well. Finally, I want to thank everyone who was willing to share their top posts. I couldn't collect this much great content in one place if other bloggers weren't generous enough to share! The DIY community is a wonderful place to blog, and if you have ever considered starting your own blog, I can't encourage you enough! 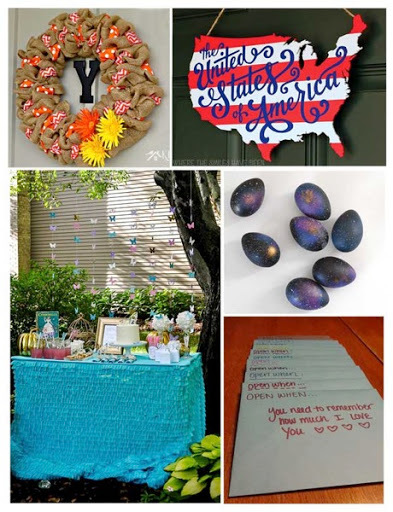 IF YOU ARE A DIY BLOGGER AND YOU WERE NOT INCLUDED IN THIS ROUND UP, I'VE CREATED A PLACE FOR YOU TO ADD YOUR LINK (ONE PER BLOGGER ONLY PLEASE) AT THE END OF THIS POST! Thanks for making 2015 a wonderful year! And I can't wait to see what everyone has planned for 2016! Gift Ideas for Your Man: Happily Ever After Etc.